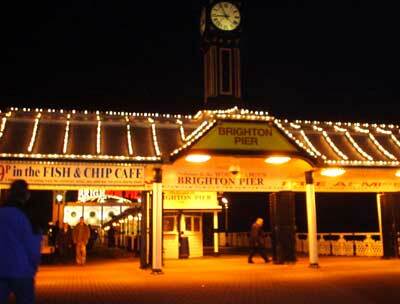 Thankfully, Brighton Pier (or Palace Pier) continues to thrive. Opened in a grand ceremony on May 20th 1899, it replaced the original Chain Pier and at 1,722 ft long is acknowledged to be one of the finest piers ever built. A large chunk was temporarily removed during the war to prevent enemy landings!